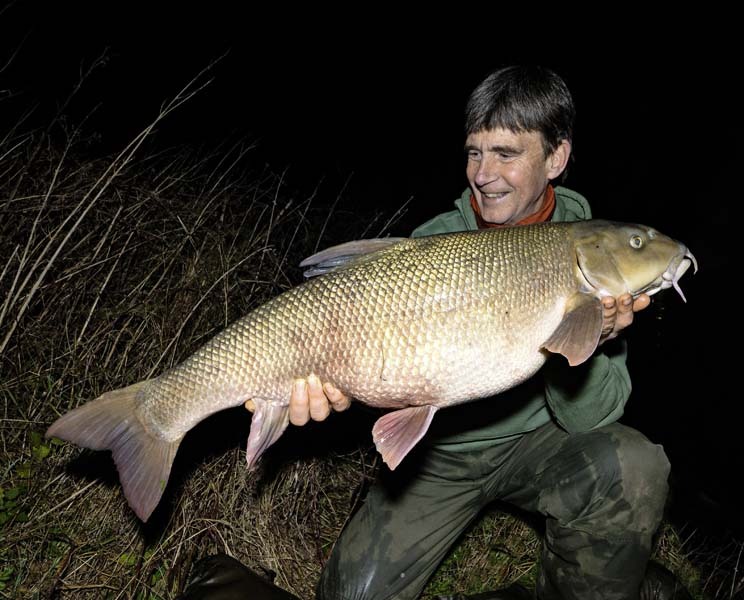 A thames record barbel has rounded off the best river season for years. The 2018/19 season has been nothing short of exceptional, with multiple specimens of different species reported week-in, week-out – and, as recent catches have proved, the last seven days have been especially kind to the UK’s of running water fans. We begin with the season’s best barbel, a 20lb 12oz specimen banked by bait company owner John Llewellyn from a stretch of the River Thames. It’s believed to be the biggest ever reported from the waterway – bettering Rob Phillips’ 20lb 9oz Thames specimen caught back in March 2018 and falling just 5oz short of the official British record. John had been baiting three likely swims in search of a monster on his chosen stretch since October. His efforts had resulted in a few bream and a 14lb 6oz barbel – until an evening trip turned the tide. He told Angling Times: “The tips stayed motionless until 7pm when, just as I was pouring myself a cup of tea, the right-hand rod knocked twice – a typical bream bite. “I wound down and pulled into what I thought was a bream, so I was surprised when the rod hooped over and an angry fish pulled hard downstream. “It felt like a carp, but once I got it back under the tip there were the typical heavy thumps of a big barbel. After realising just how big the fish was John called two friends to come down and witness the weighing. “I knew the British record was 21lb 1oz and the scales pulled round very close to 21lb,” John added. “It was so close to a new record that I wanted to be certain of the weight, so later that week I took my scales to Trading Standards for testing and the fish’s weight was verified at 20lb 12oz. John’s new pb was caught on a Big Carp and Big Cat Ltd boilie wrapped in matching paste and fished over a handful of loosefed boilies.